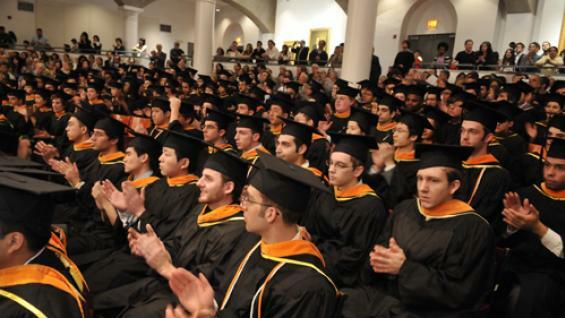 Cooper Union's 2019 Commencement will be held on Tuesday, May 21, 2019. Further details will be released during the Spring 2019 semester. In the meantime, please read through the information listed below. An archived video of the 2018 Commencement can be viewed here. A list of recent commencement speakers is available here. For those attending commencement, please see our separate pages for directions, hotel accommodations (including discounted rates), dining reservations and parking. For the schedule of events, please see the schedule page. Assisted Listening Devices (ALDs) are available at The Great Hall sound desk, located at the rear of The Great Hall. Should anyone in your party require an ALD for the Commencement ceremony, please report to the sound desk. For general information, please read the frequently asked questions page. For background information, please see the commencement traditions page. Join the Friends of the Cooper Union Library program. Alumni who join this program have the ability, for a nominal annual fee, to borrow circulating items. The annual fee for graduates of the most-recent academic year is only $25. Please continue to periodically check this page for updates and new information.